For more than 15 years, LS-DYNA FEA consulting services have been an integral part of Predictive Engineering. In a recent project, we investigated the blast resistance of several large generator housings. The blast pulse was determined by ConWep calculations given the TNT charges and distances from the housings. Although LS-DYNA has several built-in methods for simulating blast loading (e.g., *LOAD_BLAST_ENHANCED and *PARTICLE_BLAST), most far-field air blast load calculations of exposed structures can be done as shown in the graphics below. Results from this investigation allowed our client to decrease the weight of their design to such an extent that analysis costs were easily recovered, and that the housings would meet all infrastructure protection requirements at the base. 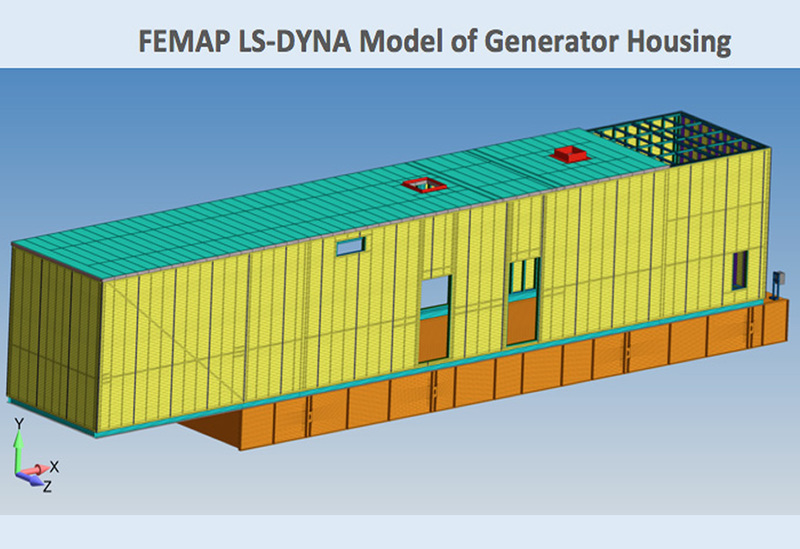 The weather was hot and muggy as Tropical Storm Cindy floated past Houston but fortunately, the power stayed on and the FEMAP and NX Nastran training class went off without a hitch. Ten analysts from Lockheed Martin’s Orion program participated in the training and worked through real-world examples from CAD geometry to full Global-Local models. The engineers have honed their Nastran skills working on the Orion Multi-Purpose Crew Vehicle and now have the FEMAP pre and post processing techniques to liberate them from the dreaded text editing and manual meshing. I’d like to thank the class for their challenging questions and in-depth discussion of finite element modeling and analysis. To expand your own FEMAP and NX Nastran skills, visit us in Portland, Oregon for our next training on October 9th 2017. Modern jet engines are getting bigger and also lighter. For example, years ago it was common to use titanium or stainless steel as blade-out containment materials. These large diameter and thick rings can now be replaced by modern carbon fiber composites; however, manufacturing large diameter composites with tight tolerances is difficult. One of the key challenges is maintaining tight tolerance during heating (curing) and cooling (mandrel removal) process. 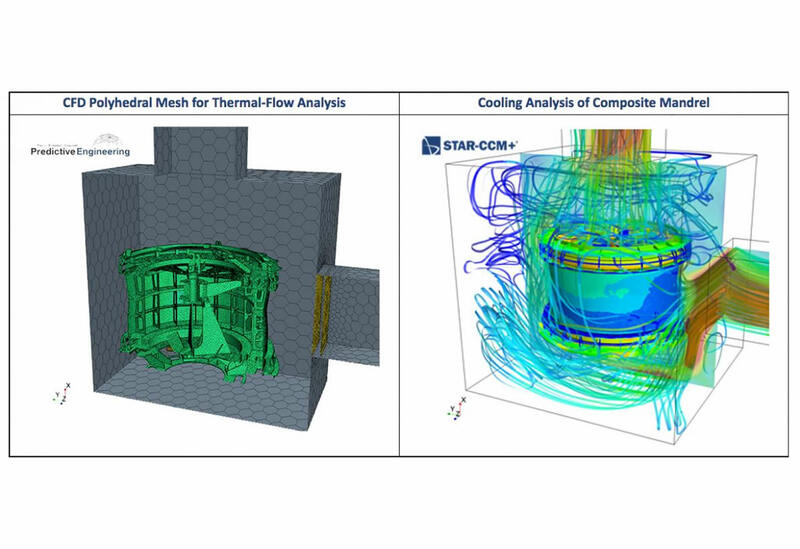 In a recent CFD project for a Tier 1 aerospace manufacturer, we used STAR CCM+ to simulate the thermal-flow process of cooling the composite mandrel down to room temperature. 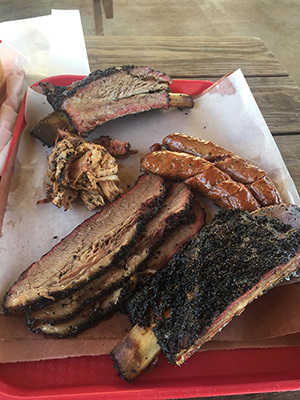 STAR was particularly suited for this project given its advanced polyhedral meshing technology coupled with a fast MPP thermal-flow solver (High Performance Computing (HPC)). Results in this CFD consulting project were verified against prior experience and hand calculations.